My many years as a Hollywood movie director have prepared me to inspire and motivate groups. 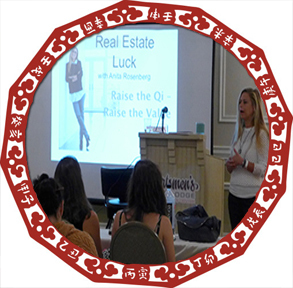 As one of the few experts in the West doing this type of work, it is my passion to share the real-deal of Feng Shui and BaZi Chinese Astrology. Whether we are talking about "Romancing the Bedroom" or "Business Success" my events are a hands on experience. Early in my speaking career I was invited to India, Vietnam and Panama as a keynote speaker for the prestigious Young President's Organization aka YPO. It was at these events I met and worked with some of the worlds' most influential CEOs and business leaders. What they have in common is their thirst for knowledge and openness for out-of-the-box thinking. 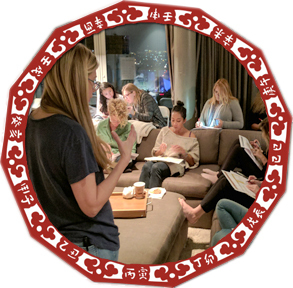 That is why I continue to expand my teachings to include hot new topics like Qi Men Dun Jia and Guardians of Destiny where everyone gets to know their personal Super Power. Let me direct you with metaphysical tools to empower your journey. HOW CAN I HELP DIRECT YOUR EVENT? Everyone wants a personalized experience. That is why my signature event allows everyone to work on their personal charts in a group setting. 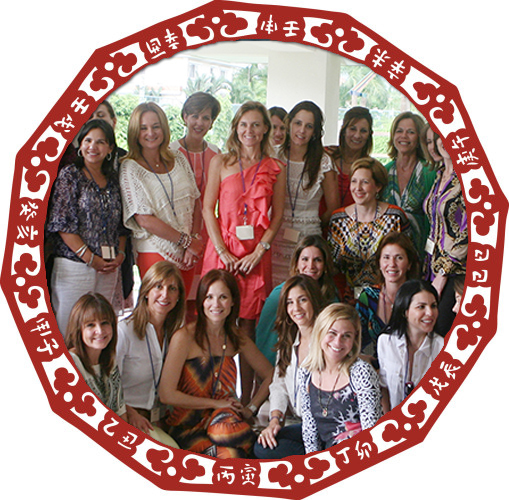 Feng Shui Period 9 has begun and everyone needs to focus on self-improvement, spiritual enlightenment and raising their consciousness. Workshops can be practical hands-on focusing on business or self-improvement. The choice is yours. Types and lengths of events are endless. Let's get creative with an afternoon or evening that fits your group and budget. "Anita conducted a CEO Team-Building Workshop for our Zuri Hotel Group in Bengaluru, which showed us different ways for our team to interact with each other. It bonded our group and brought us something exciting and new." "Anita Rosenberg was a TRP Resource for South Asia. She addressed 3 chapters and did workshops. The feedback was: extremely informative, interactive and interesting. Her knowledge on the subject is good. The individual charts made it personalized and was the best part of the program. Good take home value." "Anita Rosenberg's lecture at the L.A. Mart on Prosperity Through Feng Shui: A Map to Better Business was well received. As Marketing Director, I was very impressed with her command of the subject and her ability to communicate the material effectively to the audience. Her professionalism and enthusiasm as a public speaker allowed me to feel confident that she was the right individual to be part of the L.A. Mart's seminar series. I knew that Anita should be a repeat candidate for the seminar series and I recommend her as a speaker for other venues." "I loved your class. It enriched my life. What I learned I will apply for the rest of my life." INTERESTED IN RECEIVING MORE INFORMATION ON WORKSHOPS?